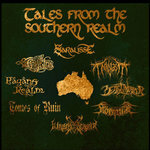 Tales from the Southern Realm is the combined release from 8 of Australia’s best folk metal bands. Currently, all of the bands are working on new material for upcoming albums, so they have taken the opportunity to collaborate and release a compilation CD. This compilation will showcase what each band has to offer, as well as demonstrating Australia’s influence on the genre. The tracks span across the entire spectrum of folk metal. With tracks including the epic styles and sounds we are familiar with, from bands like Gloryhammer or Wintersun; to bands using more traditional folk instruments like Skyforger, including the use of instruments indigenous to Australia. Also featured on the compilation is a guest vocal appearance from Wulfstan of the English band Forefather. Wulfstan appears on the track “Quest for honor” by the Australian band Trollgasm. The CD Tales from the Southern Realm will be released independently through each of the bands respective websites, world wide, from 22 August 2015. 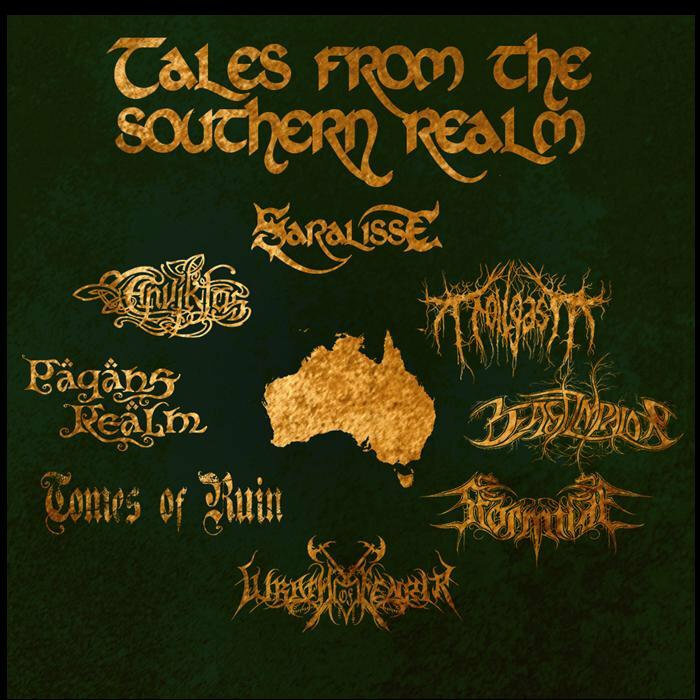 Tales from the Southern Realm will be available to purchase as a CD or as a digital download. 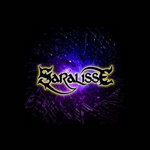 Saralisse, are a four piece metal band from Wollongong, Australia.